The two exchanged insights into the latest regional and international developments and issues of common concern … reports Asian Lite News. 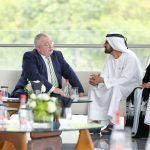 His Highness Sheikh Mohammed bin Rashid Al Maktoum, the Vice President, Prime Minister and Ruler of Dubai, today received in Dubai, Irish Parliament Speaker, Sean O’Fearghail, and discussed cooperation ties between the two countries. H.H. Sheikh Hamdan bin Mohammed bin Rashid Al Maktoum, Crown Prince of Dubai and Chairman of Dubai Executive Council attended the meeting which focused on knowledge transfer and exchange of expertise in the parliamentarian field to the best interest of both countries. The two exchanged insights into the latest regional and international developments and issues of common concern. 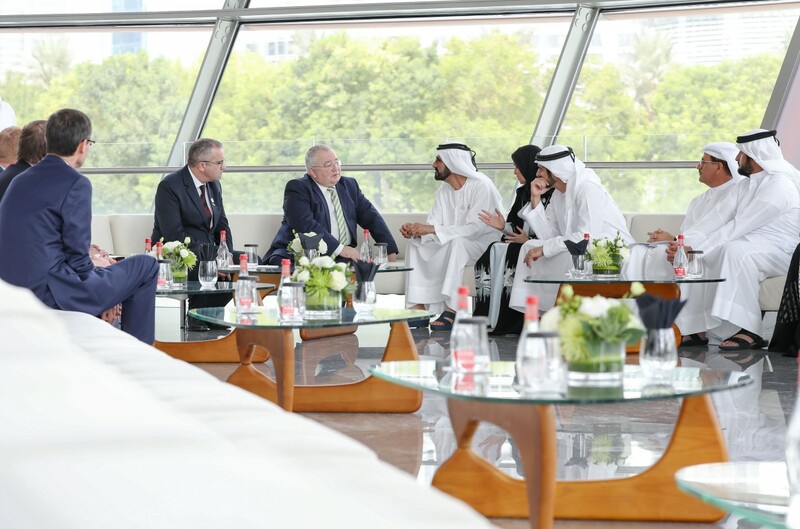 Fearghail briefed His Highness about the results of the visit that saw the creation of a Parliamentary Friendship Group between UAE and Ireland. Dr. Amal Abdullah Al Qubaisi, Speaker of Federal National Council, FNC, also attended the meeting. Present on the occasion were H.H. Sheikh Ahmed bin Mohammed bin Rashid Al Maktoum, Chairman of the Mohammed bin Rashid Al Maktoum Knowledge Foundation; H.H. 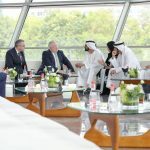 Sheikh Mansour bin Mohammed bin Rashid Al Maktoum; Mohammad bin Abdullah Al Gergawi, Minister of Cabinet Affairs and The Future; Sultan bin Saeed Al Mansouri, Minister of Economy, and Khalifa Saeed Sulaiman Director- General of the Department of Protocol and Hospitality in Dubai .